The 40 square meters large apartment is located on the ground floor of a residential building. The apartment is entered through the kitchen. From there you get to the courtyard terrace and in the living room. In the living room a sofa bed, two armchairs, a fireplace, a wardrobe, a table with 4 chairs and TV are available. The shower room is reached via the bedroom. The bedroom has two standing together beds which can be placed separately. From the bedroom there is another way to the spacious terrace and courtyard to reach. The kitchen is fully equipped and has oven, ceramic hob, fridge freezer, kettle, toaster and coffee maker. On the terrace are garden furniture, barbecue and fire bowl. Firewood is available free of charge. The 40 square meters large apartment is located on the ground floor of a residential building, in downtown Malchow, about 100m away from the water. The apartment is entered through the kitchen. From there you get to the courtyard terrace and in the living room. In the living room a sofa bed, two armchairs, a fireplace, a wardrobe, a table with 4 chairs and TV are available. The shower room is reached via the bedroom. The bedroom has two standing together beds which can be placed separately. From the bedroom there is another way to the spacious terrace and courtyard to reach. The kitchen is fully equipped and has oven, ceramic hob, fridge freezer, kettle, toaster and coffee maker. On the terrace with garden furniture, barbecue and fire bowl. Im Appartement ist alles notwendige und noch mehr vorhanden. Die Küche ist reichhaltig bestückt. Die Einrichtung ist neuwertig und in einem sehr guten, unverbrauchten gepflegten Zustand. Die Bad ist sehr kompakt, jedoch noch ausreichend. Die Überdachung der Terrasse ist leider nicht regendicht. Dank des geschlossenen Innenhofes können Fahrräder sicher abgestellt werden. Der Zugang zum See ist ca. 100 m entfernt. Hier kann man schwimmen, jedoch ist das Sonnenbaden hier nur bedingt möglich. Zusammenfassung: Uns hat die Wohnung und ihre Lage sehr zugesagt. 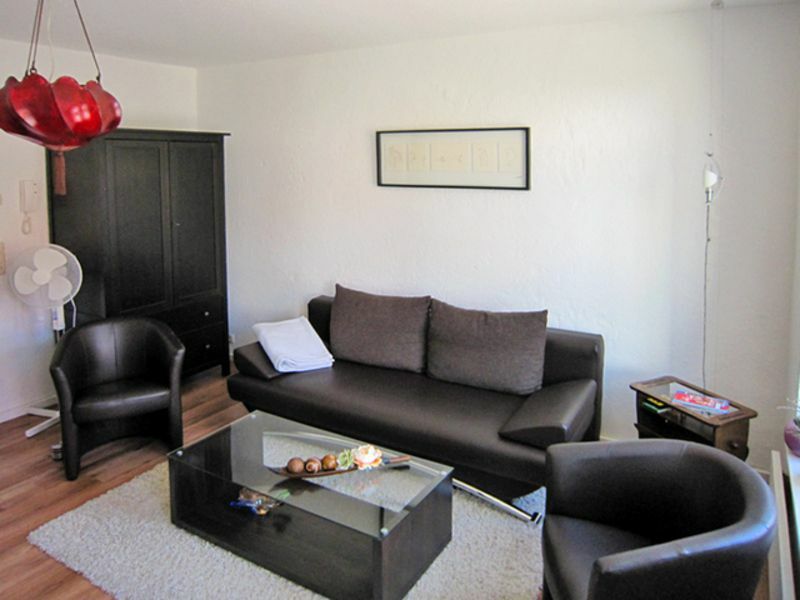 The apartment is located away from the water in downtown Malchow, about 100m. There are two public swimming areas. The picturesque small town of Malchow is situated between the Fleesensee and Plau on the shores of Lake Malchow, amidst beautiful lakes forest landscape. On the one hand the monastery Malchow, the island and on the other side of the city harbor. The recreational activities are manifold, especially for Hike, cycling and water sports. Attractions include museums, summer toboggan run, ice and roller sports facility and the Monkey Forest.